What I’m first struck by: the topography. Now, I don’t know about you, but having flown ov er the US 100s of times, this photo to the right is what one would typically see: nicely laid out square or rectangular plots of land, either farm or city, shaped in a lovely grid. I guess that’s what one typically sees in a relatively new (~ 200 years old) country. 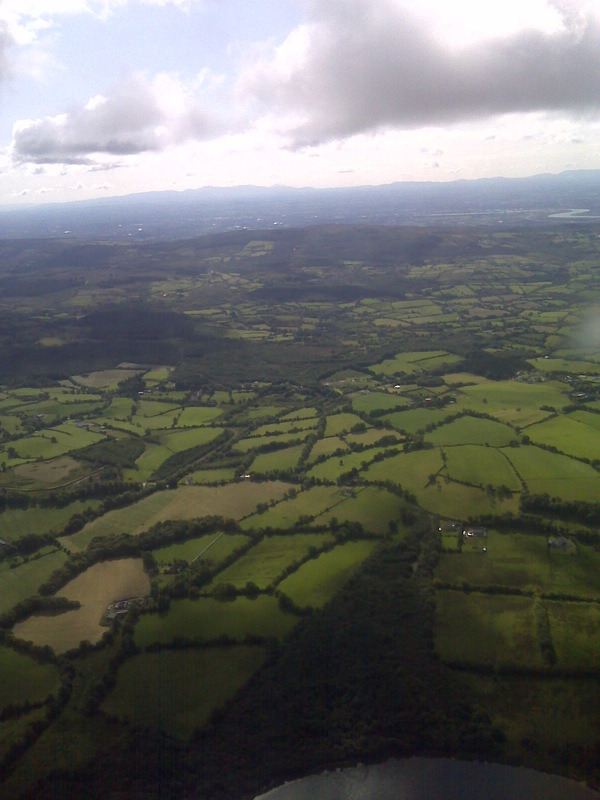 Juxtapose that to the photo on the left, an aerial view flying into Shannon, Ireland. Crazy lines going every which way, literally as far as the eye could see. 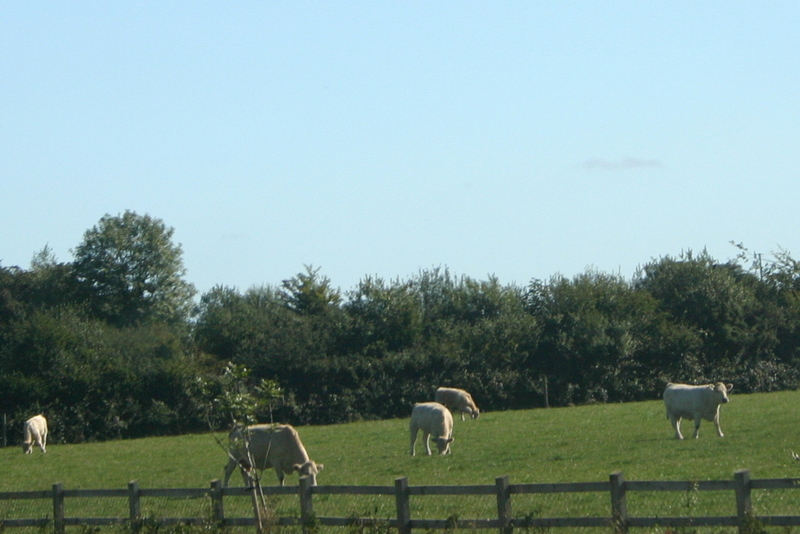 And yes, it goes without saying, as green as I’ve ever seen any land. Having straightened out the Visa situation for my son, we were set. (Yes, we remembered to get his passport for going home, but totally forgot he would need a Visa to re-enter Britain. Thank you, nice border patrol man. I’ll need a separate blog post for that experience later). We jumped on Ryanair for the one hour flight from London to Shannon. We were lucky in the fact that my husband spent 15 months living in Ireland about 10 years prior, so we effectively had our own built in tour guide. He suggested flying into Shannon, driving the southern coast, including Dingle Bay, then back north through Clonmel (where he worked) and then up to Dublin, and flying out of Dublin. One of the first things we found? A beach! Go figure. I guess I was picturing green, rocky cliffs and not sandy beaches. Not at all what I was expecting, but then again I also wasn’t planning that it would be 70 degrees F and sunny every day. 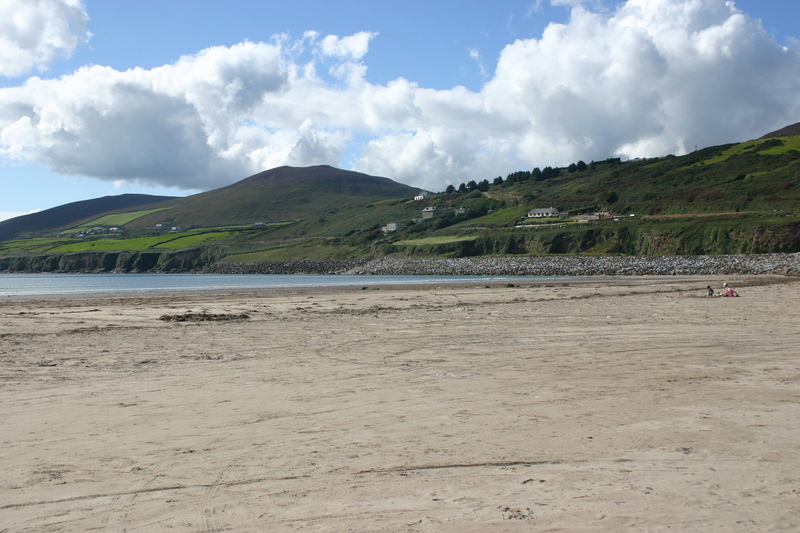 Ok, now this next photo on the left was much more in line with the Irish coast I had envisioned in my head. One of the most beautiful drives? 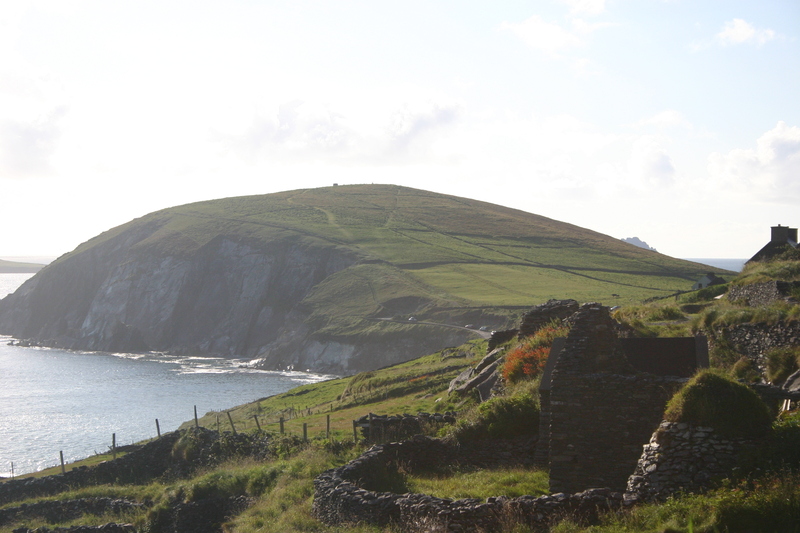 Slea Head Drive, where we found a charming Bed and Breakfast that would accept children, and had a lovely time. My 9 month old, being so mobile and at that age, detested the car drives, and as desperation got the best of us, we actually turned his rear-facing car seat around so he could see out on the drive. Sadly, it didn’t work, as he still didn’t see the beauty that we saw. Between this and the fact that my 3 year old daughter got sick in the car nearly each time we got in (the very winding roads got her every time), we made slower than normal progress, but managed to see countless castles and numerous picnic spots, which we discovered was a far easier way to eat our lunch than finding suitable restaurants for small children, which would either take a very long time to get served, or we’d feel uncomfortable being literally the only ones with littles in the restaurant. 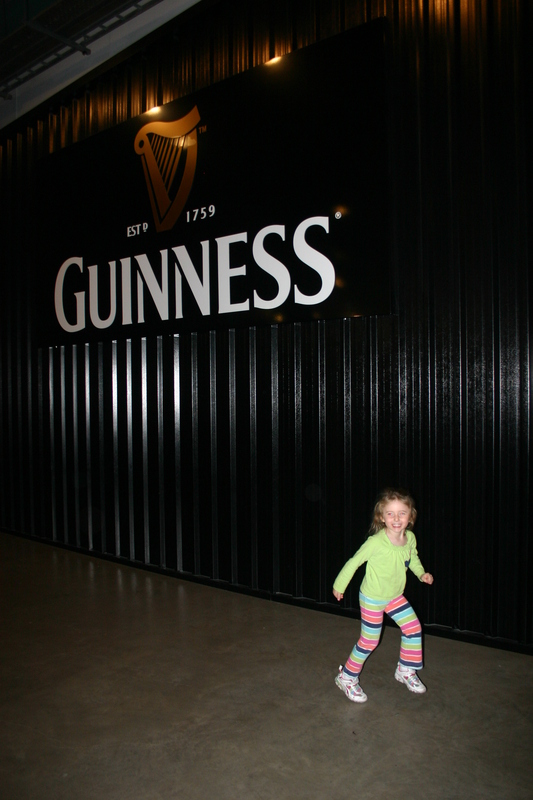 On arriving in Dublin, we headed straight for the Guinness Brewery, having heard they had a lovely tour. It did not disappoint, and the view from the tower at the end was magnificent. My daughter enjoyed it (almost) as much as we did! 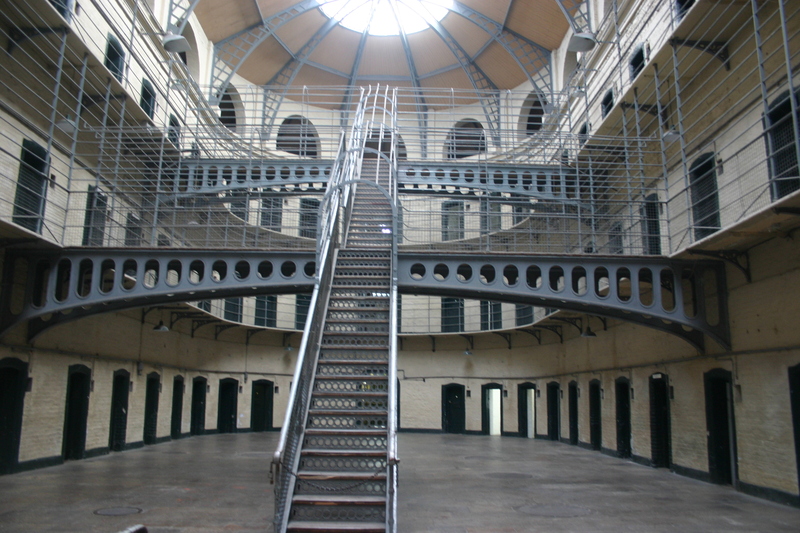 A fabulous tour also not to be missed is that of the Kilmainham Gaol Museum. A former prison and famous for its presence in dozens of movies (In the Name of the Father, anyone? ), the tour was wonderfully guided, and we learned so much of Dublin history. Included as its famous residents were Patrick Pearse, and James Connolly, leaders of the Easter Rising, 1916. Here is where they and 13 other leaders were shot to by British firing squad. And we got to stand in that very spot. Next was a stop at the Brazen Head, the oldest pub in Ireland, where we had a wonderful stew. Established in 1198, it also functions as a hotel. Outside the pub was the site of the first bridge across the Liffey River, so at that time it was a bustling area of trade. After saying goodbye to the white cows, it was time to also bit farewell to Ireland, easily one of the most beautiful places I have ever been.